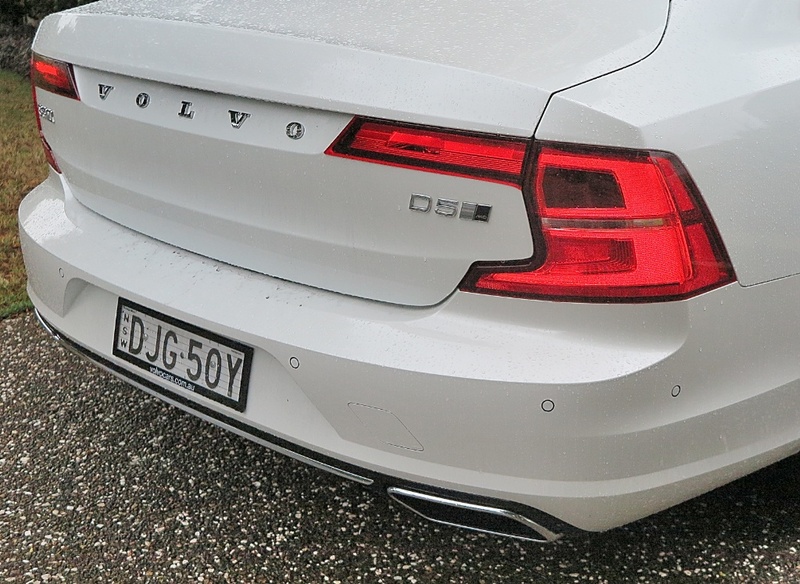 First up, I think the new Volvo S90 will sell its socks off in the Middle Kingdom. It looks like it was 'made for China' (?). 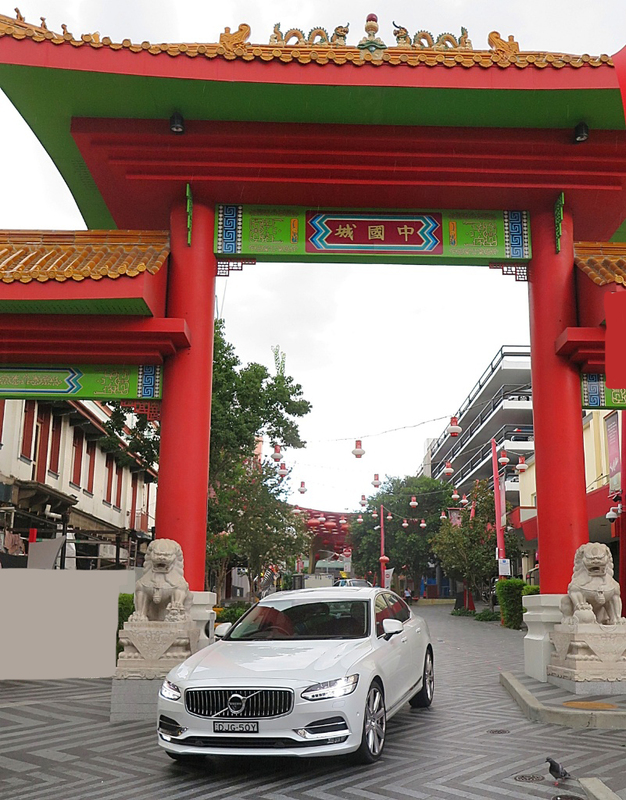 The Peoples' Republic of China (PRC), remains very hot for European cars and represents a huge growth opportunity for Volvo. 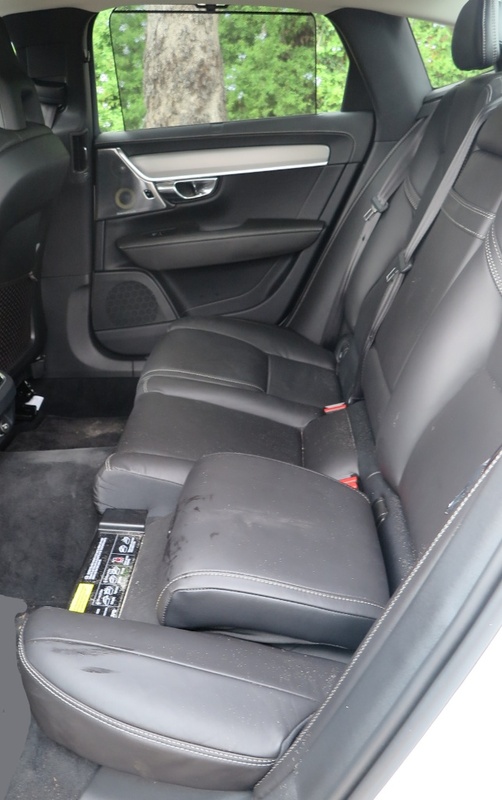 This car is just the right size for owner/drivers; or a chaueffer driver/rear passenger sedan. 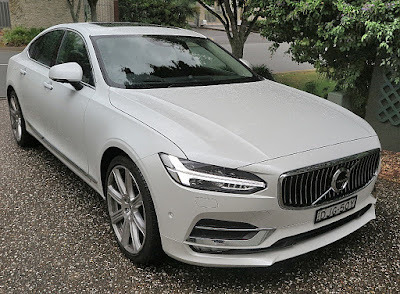 The S90 sedan is a mix of Swedish eccentricity; European style and character; hopelessly confusing model-naming protocols; frustrating touch panel control system; and in diesel form, fairly lethargic when pressed. It is however, a handsome looking car with much more visual appeal than its major competitors, the Mercedes-Benz E250 and the new BMW 5-Series. 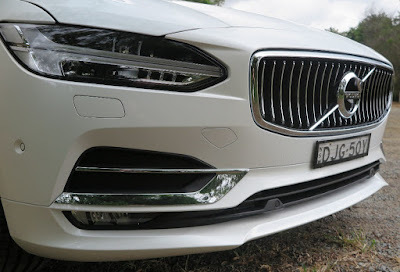 In specific terms the S90 is much more pleasant to drive than the E-class; but certainly cannot match the BMW’s agility and competence in the handling department. But chassis athletiscm was not Volvo's focus. So, for AUD$96,900 it’s a match on spec and equipment to its market competitors, and I guess the decision to purchase is whether you’re prepared to step out of your comfort zone and try something new and different. 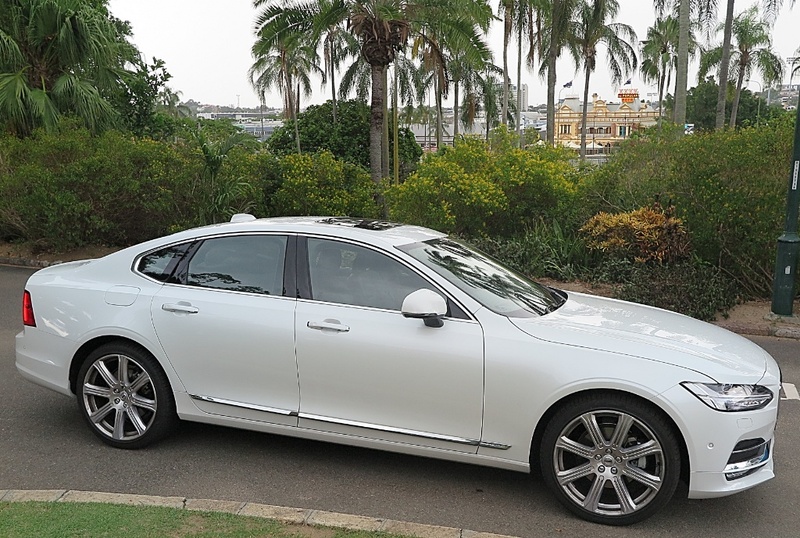 I don’t think it’s much of a risk – the S90 is a very pleasant car to drive. 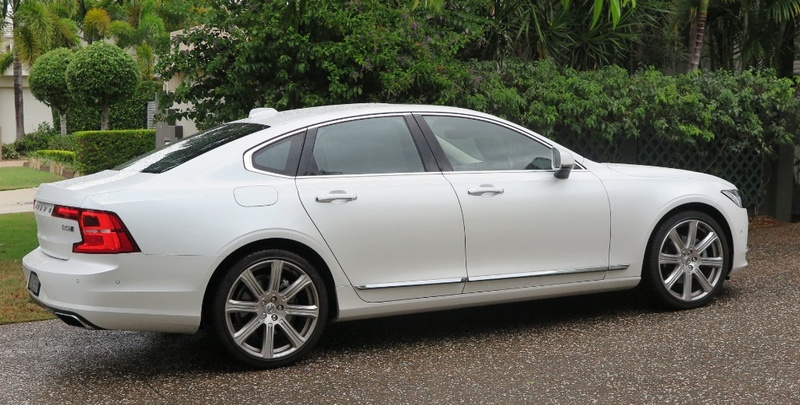 But, who will buy it, given Volvo’s long-standing image as a safe, and conservative brand? Best to ask the dealers. 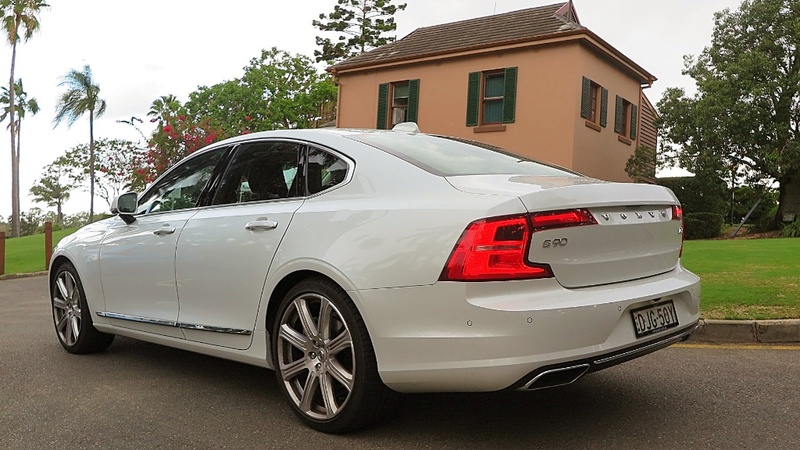 I called three dealers, which had each sold at least one S90. Dealer 1 sold a car to a 63 year-old male, who previously owned a Volvo 760; then a car to a married lady in her 50s who wanted something other than a Benz or a BMW. Dealer 2 sold a car to a male, who bought it for his 55 year-old wife. She liked the style, he signed the cheque. Dealer 3 sold one to a 52 year-old woman who had always had Volvos, but she thought the S90 was a big improvement in the styling department. Next, international dealers. I have a mate who sells Volvos in the UK, and he told me in an email that he had sold four S90s, all to women over 50. My pal Benny in Hong Kong has sold five, and all to women. Two of them were in their mid-30s and liked the child bolster seat configuration of the rear seat. 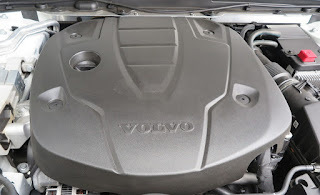 Volvo is owned by Geely of China, but the management of the company and vehicle design comes direct from Sweden. So far it seems a happy marriage. Geely funds design, development and production, and is hoping that owning a European car company doesn’t turn into tears at bedtime. Geely was only founded in 1986, so it’s something of a newbie to this car manufacturing lark. It’s privately owned by 52 year-old Li Shu Fu, incorporated in the Cayman Islands, and makes about 700,000 cars a year in China. As Mr. Li is a member of the Peoples’ Political Consultative Conference, he’s pretty well knitted into the government and business fabric of the PRC. The Volvo investment was a brave step for Mr. Li, but I think it will pay dividends. Geely paid Ford Motor Company USD$1.5 billion for the Swedish carmaker, and says it plans to invest a further USD$900 million in future models, and related manufacturing investments. Here’s hoping Mr. Li’s ‘brave pills’ keep working. In 2010, the year Geely signed the cheque, Volvo sold 334,000 cars, and lost over USD$640 million into the bargain. 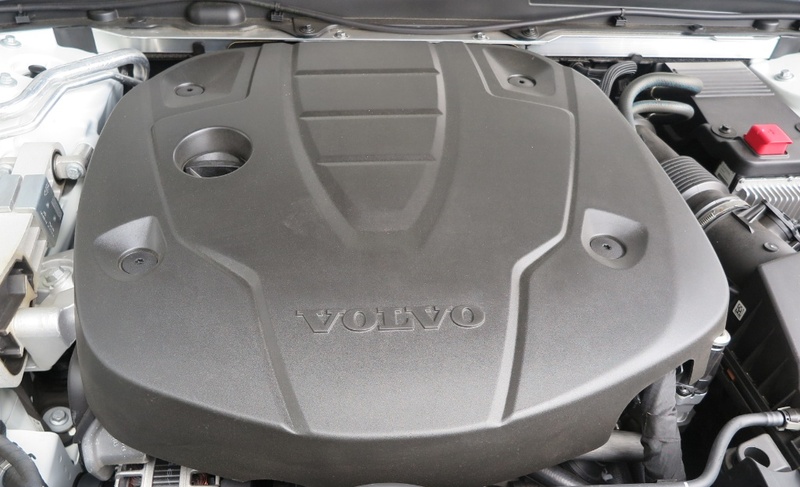 The tricky part is that Volvo is essentially a Swedish domestic carmaker, which has expanded the global reach of its commercial tentacles into a number of sophisticated western markets, Australia included. Volvo came here in the early 60s, and did well in motor sport, particularly rallying. So it has built a strong reputation Down Under. Despite that, Volvo sales are down 15% this year, for a market share of 0.6%, after selling just over 5,800 cars in Australia in 2016. The compact S40 is the star of the range. My good friend Peter Horbury, who has led Volvo design for years has huge confidence in his Swedish compadres in both engineering and design, and whilst this is a terrific endorsement for the company, at the end of the day Volvo isn’t profitable. That was especially so under Ford management. Having spent the money to buy Volvo, Ford wanted it in as many markets as possible to recoup its investment; but it was just as unsuccessful in making Volvo profitable, as it was Jaguar. Which is why former Ford CEO Alan Mullally wanted to be rid of it. But lets take another look at the S90. It’s a triumph of design, because it really is a different take on current styling trends. The grille and whole of the front treatment is distinctively different. However, you need at least a week to train yourself to use the touch screen panel, which controls EVERYTHING! Clearly its execution of functions comes direct from the brain of a boffin, with no real world experience outside the lab. 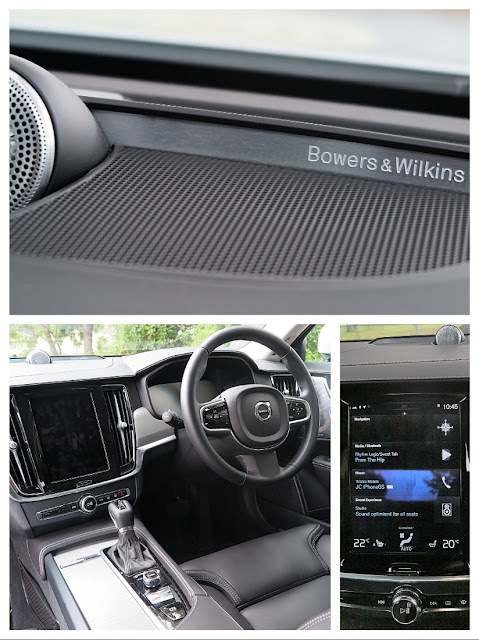 Once you get it sorted I guess it’s okay, and certainly the audio quality from the AUD$4500 tech pack, featuring superb Bowers and Wilkins speakers, will really impress you. However, I think including Apple Car Play (for $300!!) in that option price is ridiculous – especially when it comes standard (that means, no cost) on $18K Suzukis, and Holden Spark! No, the engine isn't made from plastic! In the engine department, despite the excellent fuel economy of the diesel, I'd go for the petrol. Despite the smooth Aisin 8-speed auto transmission the diesel is best described as lethargic if you leave it in Drive. If you work the gearbox manually, you can coax more spirited performance, but the oil burner is much more interested in saving you dollars, than speeding up for overtaking. The ride is outstanding, the handling is fine. Grip from the Pirelli P-Zeros is exceptional, especially in the wet. is known only to Volvo's inner sanctum - not mere mortals. All up though, the Volvo S90 is different, pleasant, competitively-priced and, depending on the size of your bank balance or credit card limit, it’s well-equipped. Not to be passed by. Check it out, you will be pleasantly surprised. And, again, it's a handsome car. In the interestes of pricing clarity you may be as intrigued as I was that from a base price of AUD$96,900; this test car totalled AUD$118,555!